How to make long term improvements in range of motion without stretching. In this post we’ll look at how to make long term improvements in range of motion without the use of passive techniques such as stretching, massage and foam rolling. Firstly, what is range of motion and why is it important? Range of motion is how much available movement you have at a joint or joints. 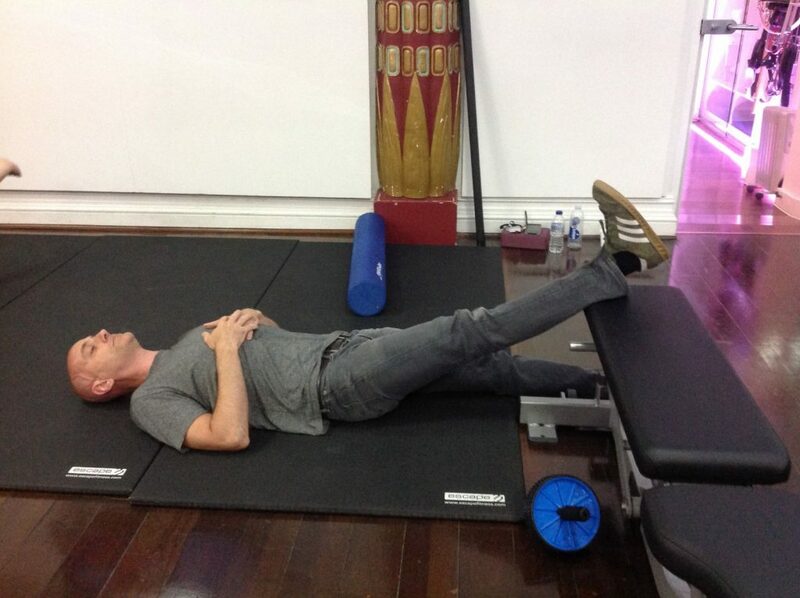 How far you can lift your arm over your head for example, or how far you can bend your knee. It influences how you move. It can be a factor in joint wear and tear. It may leave you susceptible to injury. It can impact quality of life. What limits range of motion? Whilst this is a blog post of its own, the short answer is your central nervous system (CNS). Your CNS makes the calculation precisely how far you should move a joint based on a number of things including the following. The structure of the joint. This will vary from person to person and even in some cases from side to side. The joint may also contain physical impediments such as osteophytes (bony growths) that can limit motion in specific directions. Protection. When a muscle is unable to contract due to overload or trauma, other muscles increase in tension to maintain stability in the area. An acute example of this occurs following injury. You become unable to actively move certain joints due the protective work of your CNS. Strength. Strength is usually viewed as separate to flexibility but it’s a big part of the range of movement equation. Many people will struggle with the weight of their own leg in a straight leg lift for example. Is this a hamstring flexibility issue, or a hip flexor weakness problem therefore? Read more on strength and flexibility here. Muscle contractile capability. Are you training your muscles to take your joints through their full available range of motion? If you’re not then over time you’ll lose the ability to do so. How best then to improve range of motion? The last two reasons for limits in range of motion also provide logical approaches to improving it long term. If we start with the premise that every restriction in range is both deliberate and finely calculated, any approach to improve it should be the same. Long term changes do not come from using force to breach those limits as with stretching and foam rolling. They come from encouraging muscles to contract into positions they’re not currently able to. Let’s take the knee extension example mentioned previously to illustrate the point. If you’ve been stretching your hamstrings for what seems like an eternity with zero long term gains, this will be of particular interest. How to improve knee extension. One way to improve knee extension is to encourage the quadriceps to contract further than they’re currently able. This will not occur with global exercises that target these muscles such as squats and lunges. There’s absolutely no challenge to end range knee extension with these exercises. The simplest way to both challenge and improve knee extension is with a leg extension machine pictured below. If you don’t have access to one of these, read on as I’ll give you an alternative. 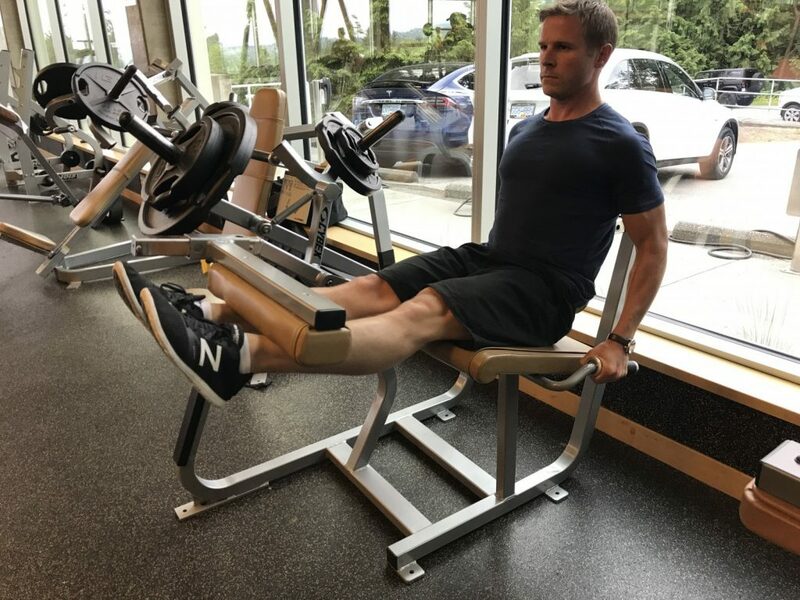 The leg extension machine is unique in that it’s the only exercise that meaningfully challenges the last 30 degrees of knee extension. It’s the best choice to improve it therefore. Watch most people using this machine in any gym however and you’ll see very few using it in a way that will achieve this. The most difficult part of the exercise is the last few degrees of extension. Instinctively most people will get in and out of this range as quickly as possible to avoid that. This is where we’re going to spend our time however. First make sure the machine is set up correctly. This video will show you how. Now check to see if one knee is more limited than the other. Sit on the machine but don’t put your legs behind the input pad, instead rest them on top of it. Slowly extend one knee and make a note of how far you can straighten it. Now try the same with the other. Work first on the limited side. Extend the limited knee as far as it will go but this time hold the extended position 5 secs. Focus on contracting your quadriceps to enable further extension. Relax and repeat a further 5 times. To increase the challenge in the extended position, take the pin out of the weight stack and hook both legs behind the input pad. Extend both knees as far as they will go. Once there take the leg you’re not working on back to the start position and use the limited leg to hold the weight of the pad. Make sure the knee doesn’t bend during the isometric. If it does, the weight is too heavy. Revert to the unloaded version for the time being. Hold 5 secs and repeat a further 5 times as before. Equipment free knee extension isometric. 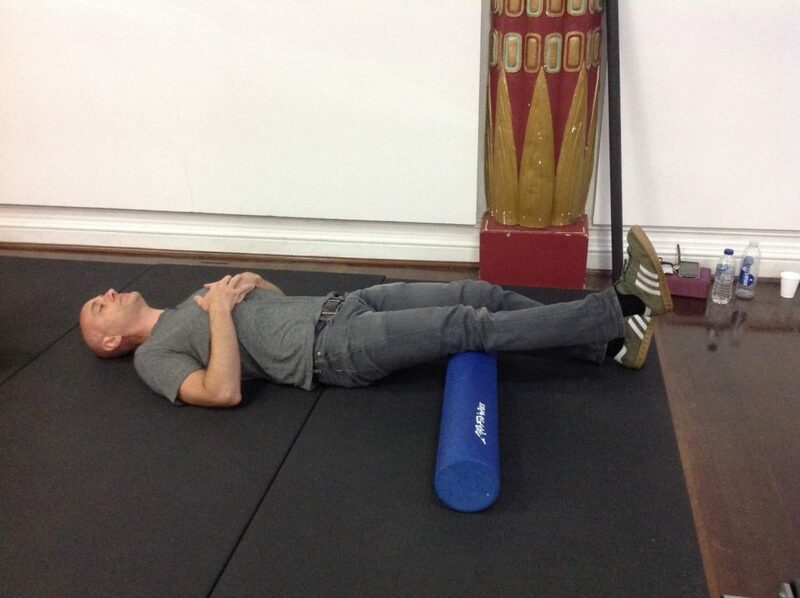 If you don’t have access to a leg extension machine, use a foam roller or similar placed at the back of your knee. Keep the leg in contact with the roller and straighten the knee as far as it will go and hold. Again focus on using your quadriceps to gain more extension for 5 seconds. Relax and repeat 5 times. Add hip flexion and then the weight of your leg to introduce a training effect to maintain the gains in range. These exercises should increase knee extension range of motion both in the short and long term. Not only that, by using them you’ll be improving the performance of your quadriceps. It’s a win win. The same approach can be used at any joint where you notice a difference in range of motion on one side of your body compared to the other. This paradigm shift in recognising restrictions in range of motion as limits to be trained rather than stretched changes everything. Not only will your joints thank you for it, you’ll become stronger as a result. How to use resistance training to recover from injury and improve your performance. The complete guide to lower body exercises. Visit our online resources page for more details. Colin Holloway on No progress with your injury rehab? Subtract to improve your results. Annie on Shoulder injury not getting better? Here’s why. nancy on 10 possible reasons why your hamstrings are tight. Why your hamstring gets tight when you run despite stretching and massage.